I’m loving anything that saves time at the moment. Shopping? Online. Eating? Preferably standing up and one-handed. Shoes? Slides. Cosmetics? 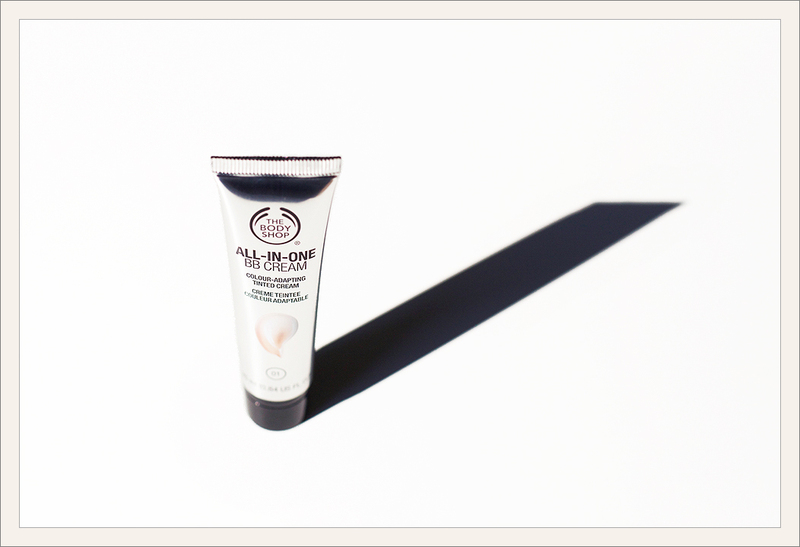 The BB Cream from The Body Shop. The last time I shopped there, it was the late 90s and I wore the White Musk perfume and strawberry flavoured lip balm. Both Okka, who’s a fan of their Colour Crush Shine lipsticks, and Alexa, who swears by their Vitamin E series, made me revisit the brand. The BB Cream didn’t need a lot of testing as the make-up-particles in the lotion adapt to the skin tone. Plus, it requires less work than foundation, covers almost as well and – bonus! – you can apply it one-handed if need be. It might sound weird, but a touch of tinted moisturizer makes me feel less mumsy. Especially on those days when I suddenly notice at the supermarket till that I still have a swaddle cloth draped over my shoulder. This entry was posted in beauty and tagged BB Cream, The Body Shop. Bookmark the permalink. Post a comment or leave a trackback Trackback URL. you know the cream contains microplastic? No, I didn’t know that. And am a little surprised, considering this is a product from The Body Shop. Might switch back to a different product after this one. Yes, it’s kind of sad. The german ngo BUND released a list with products containing microplastic some time ago … almost 20 body shop products got listed. If you’re interested you can find it on their homepage available for download.